Madrid is the capital of Spain, home to the Spanish Royal family as well as the Spanish Government. It is a modern city with a population of approximately 3.5 million people (the largest in Spain). There is always something happening in town and we are sure you will have a great time visiting with us! (1) Madrid is home to arguably the best flamenco show in the world. It is such a prestigious event that its even included in the popular book ’1000 Places to See Before You Die’. This magnificent show (with option for dinner) has been attended by many famous celebrities and royal families from around the world. If you have the time and you want to do something special then we recommend you go for this flamenco show and dinner. 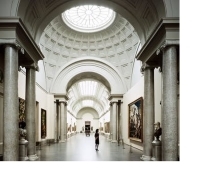 (2) Visit at least one of the big three art museums, the Prado, the Reina Sofia or the Thyssen. To make the best use of your time, we can arrange to drop you off at one of the museums at the end of the tour. This way you maximize your tour time to see as much as possible and then you can enjoy a visit to a museum of your choice without being rushed. (3) If you have more than a day in the city then consider taking a day trip to either Toledo, Avila and Segovia, or the site of El Escorial and the Valley of the Fallen. Madrid is a great base to some of the best excursions in Europe. All of these destinations are within an hour’s drive and are definitely worth a visit. Avila and Segovia is our most popular excursion outside the city. (4) Enjoy an afternoon of buzzing action or take-it-slow and relax in an atmosphere of tranquility. Madrid has a lot to offer if you want to do something on your own. Relax and do some ‘people-watching’ at the lovely Retiro Park or join thousands of football fans for a Real Madrid football game or visit the museum at the famous Santiago Bernabeau stadium. There are many outdoor cafes, restaurants, and trendy shops in the city, and you can also join the Madrileños for a night out that starts at midnight and finishes at dawn (if you can stay up at these mad hours). 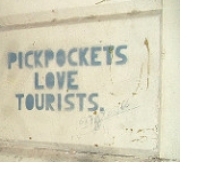 On the unfortunate side of things, there have been increasing incidents of theft and pickpocketing in recent years. This is a situation which we regret to say the authorities have been unable to adequately deal with. To avoid being a victim of pickpocketing, please be extra careful with your belongings, especially in these parts of the city. Don’t leave valuables in your back pocket, in your backpack, or on the table at the restaurant or the coffee place. Your things will disappear very quickly and the thieves here are not amateurs! Be super careful in crowded areas such as bus and train stations, public escalators, busy pedestrian streets, or when you load and unload your luggage at the hotel. If you exercise good judgment and keep your guard up where needed, you will have an enjoyable visit and your camera and photos to prove it. (5) This last recommendation is to make sure you enjoy your holiday and don’t fall victim to online scams. Please only book your activities with a genuine and licensed company. There are many websites selling various activities in and around Madrid and you need to be careful that you are dealing with a genuine Tour Operator or you could end up as another victim of tourism piracy. The best way to ensure you are booking with a legitimate tour company is to inquire directly with ASTA (the American Society of Travel Advisors) which is the main body governing travel companies worldwide. Just as you would not jump into any car at the airport and only hire a licensed taxi, we kindly suggest that you help us put a stop to tourism-piracy in Spain by booking with a genuine, licensed, and bonded travel company only. We hope to see you in Madrid soon and we wish you the best for your travels! Hasta Pronto.